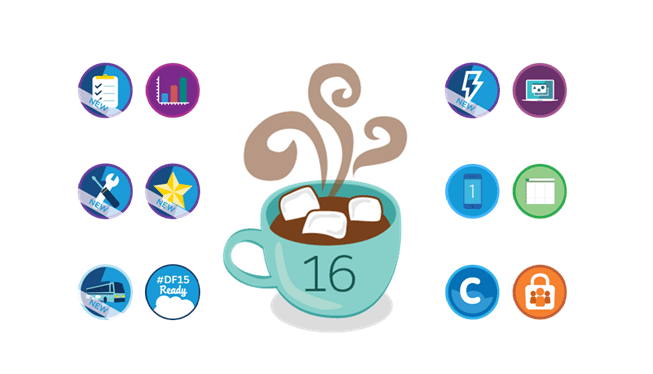 Get A Sneak-Peek Of Salesforce Summer '16 Release! The Salesforce Summer’16 release is a huge success. It is compatible across platforms and devices. With the latest release, you can ensure best customer experience by receiving inbound calls and insights in a jiffy. The advantages of Lightning Platform are to build customized apps to fit all types of business. The lightning ecosystem is constantly expanding, and it is easier to build customized apps partnering with lightning components. There are more than 200 latest and developed features in the Lightning Experience. Salesforce is mastering on innovation. The power of lightning is harnessed to connect with employees, customers and partners quicker than before. The Lightning voice is a Sales Cloud app empowering sales representative to receive inbound calls with a click to dial inside the Lightning Experience. SalesforceIQ Inbox is especially designed for Outlook. Sales reps can connect to the Salesforce using their inbox and start selling smarter. It is easier to receive customer insights while working. Service Cloud is a customer service app giving access to Service and Knowledge levels in the Lightning Summer’16 release. Marketing Cloud is a marketing application offering intuitive email design in a streamlined fashion facilitating workflow transmission. App Cloud is a top Enterprise App Dev Platform personalizing the Lightning Home Pages prioritizing the information you need the most. Analytics Cloud takes Salesforce to the cloud. Access and visibility are now easier for service managers using the Analytics Cloud. Agent productivity and satisfaction of the customers increases with Service Cloud, and it can promote a professional service team. Community Cloud introduces moderation and pre-moderation checks helping community managers to manage posts and protect from SPAM. There is no doubt that Salesforce is a successful CRM company offering Customer Success Platform – The Salesforce Lightning. Salesforce enters into the 17th year and since the time of its inception till now, it did not leave any stone unturned in rising the standards of CRM. Backed by latest technologies like social, cloud, mobile, IoT and data science Salesforce has seen a rapid transformation, thanks to the major three released experienced annually. The company is all set to present the 50th releases. Some of the latest Salesforce Lightning advancements are Salesforce SteelBrick CPQ, Field Service Lightning, and SalesforceIQ Inbox. Apart from this, a new package has been announced for Sales and Service Cloud Lightning. Know more about Salesforce Training Online. The sustainable journey of Salesforce has lasted for 17 years now, and the CRM has been completely transformed to meet the digital needs. The Salesforce Lightning was launched in the year 2015 offering next-gen metadata platform that is consistent and offering contemporary user experience. The CRM is multi-device compatible. Building apps were never so easy before, developers and users can now deliver to customers a host of third party apps in the Lightning Ecosystem. They can now cater to human resource, financials and more in an integrated manner using Salesforce. The latest Lightning feature will benefit 90,000 customers apart from 55 partners. Companies across the globe are using the Sales Cloud, and it has the reputation of being the #1 in the sales application industry. The all new Sales Cloud Lightning offers a new experience to sales reps. The advancements in the system have been discussed in the features section above. The services have moved beyond call center and moved to the social media, email, mobile apps and more. Lightning Service Cloud has more to offer. It is an integrated service platform making every customer interaction memorable. Salesforce Service App is now emerging as an innovative experience for every single service employee. The Service app offers Field Service Lightning to connect workforce with agents tools. Omni-Channel supervisor provides greater visibility for call center supervisors promising best customer experience. Watch out for the Spring and Summer publications as they come with over 300 advancements across Salesforce Customer Success Platform. App Cloud automates your business with just drag and drop features. Heroku Enterprise provides the flexibility to develop connected apps with data, identity services and network shared over the App Cloud. Marketing Cloud keeps the customers engaged with new email marketing, content management system helping marketers to develop personalized email programs. Community Cloud can make your company smarter and highly connected. It helps create rich online communities.